This week we said farewell to winter and root vegetables! We said our goodbyes with a final dinner of roasted root vegetable burritos. 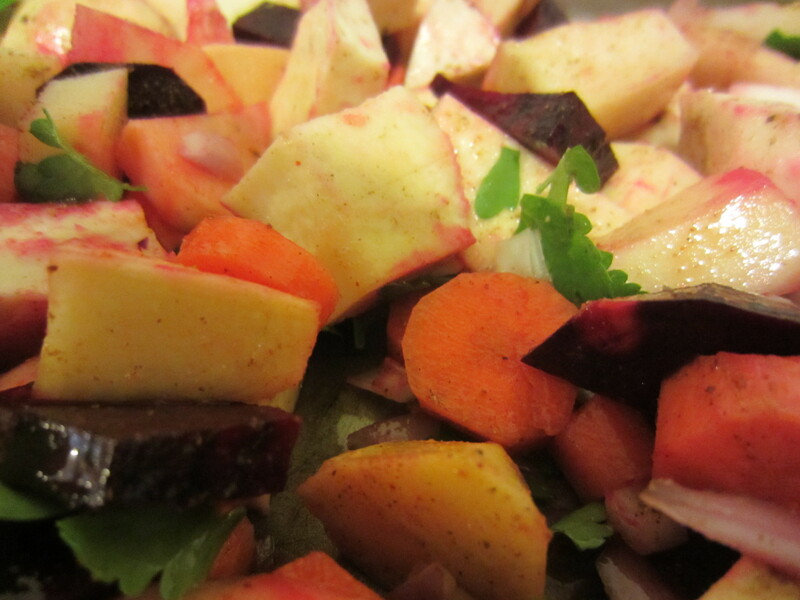 Made by simply roasting root vegetables of your choice in the oven with oil and spices you love. 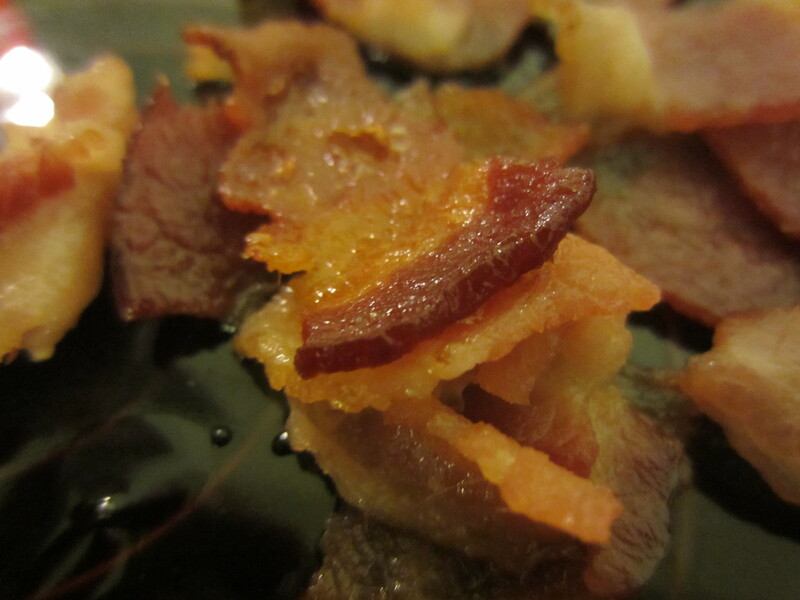 I also roasted a bit of bacon with my vegetables. The burritos were then rolled up with a spelt tortilla. Since I am currently trialing a dairy-free diet (I will blog about my results with that! 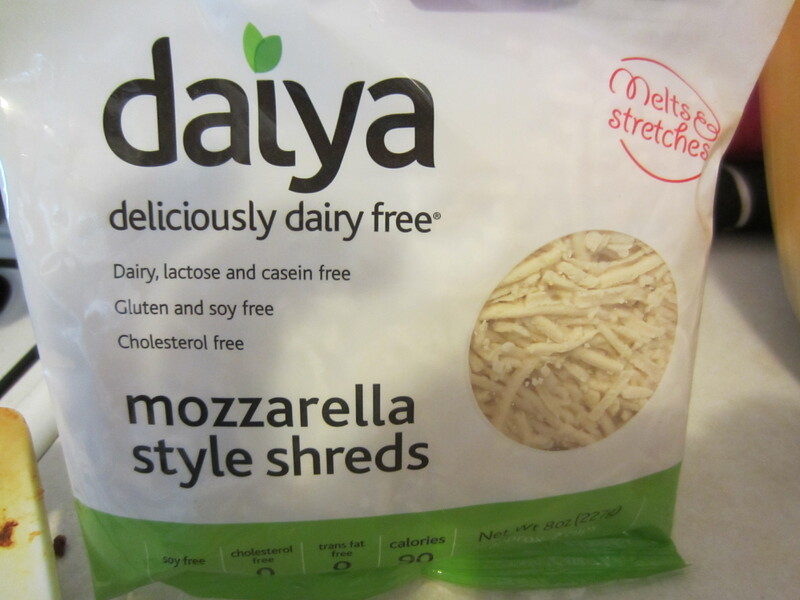 ), I added dairy free cheese to mine instead of the usual goat cheese I would use. 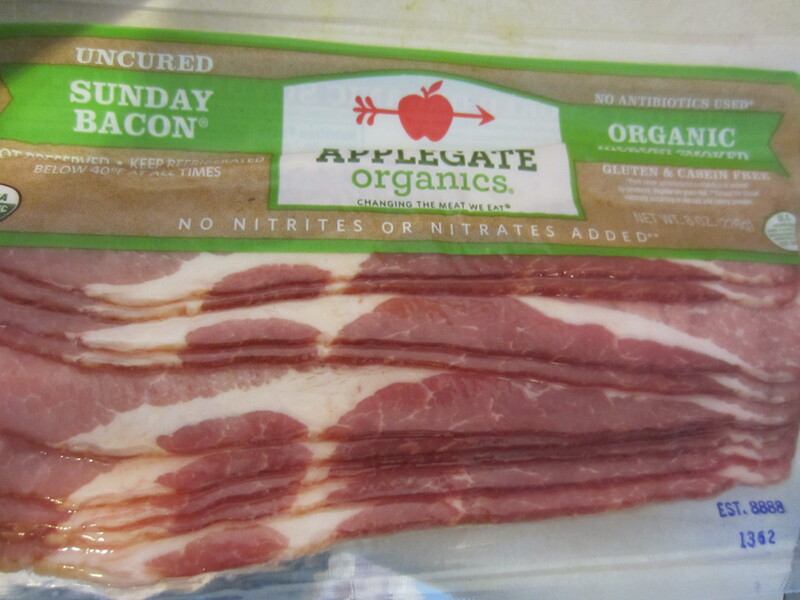 I only use organic nitrate-free bacon! “Fake” cheese – definitely an acquired taste! 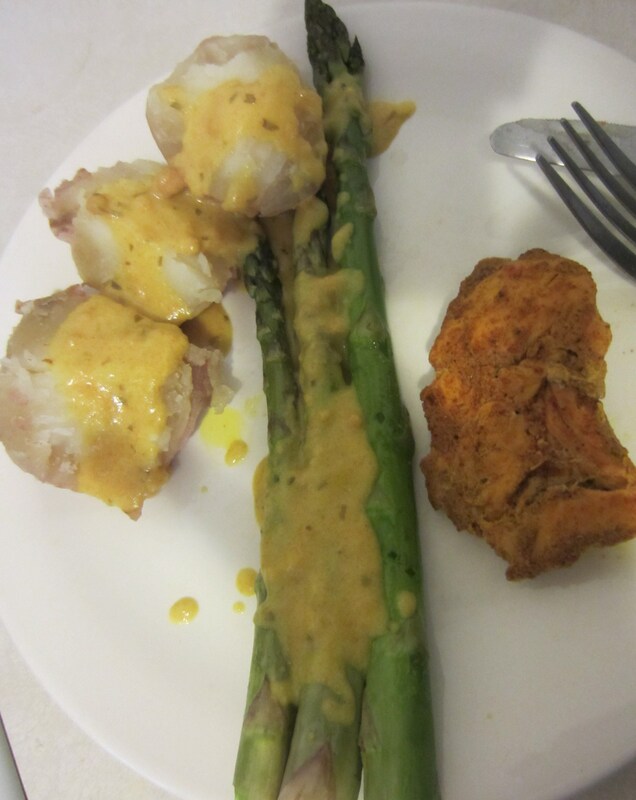 Last night for dinner, we welcomed spring with some local asparagus from the food co-op! Paired with some potatoes, hollandaise sauce (made with coconut milk), and baked chicken with some healthy spices such as turmeric. I am looking forward to wonderful spring/summer flavors such as arugula, fiddlehead ferns, peas, broccoli, chard, fava beans, parsley, radishes, spinach, and blueberries! Not only will I be doing spring cleaning around the house, but will also be cleansing my body with clean eating to aid in the process of removing toxins! This entry was posted in Nutrition, Random thoughts and tagged asparagus, dairy-free, hollandaise, root vegetables, spring cleaning by Tina's Pharm. Bookmark the permalink.